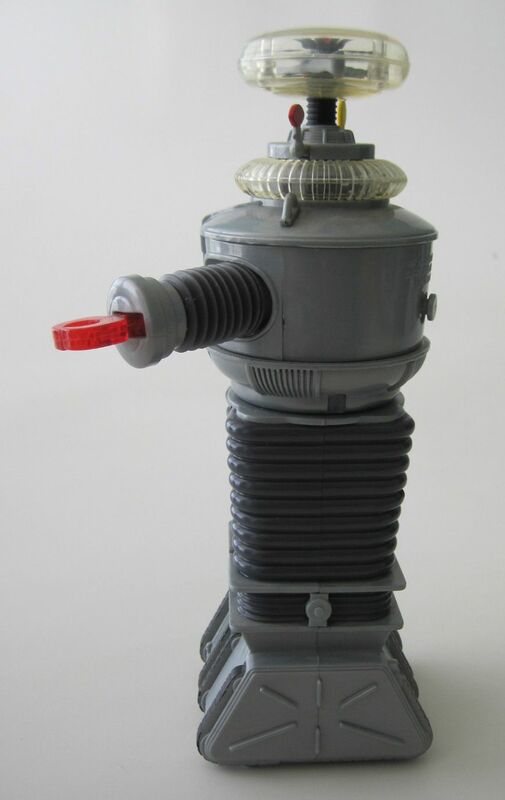 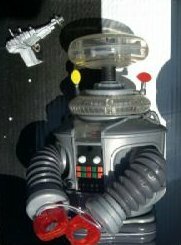 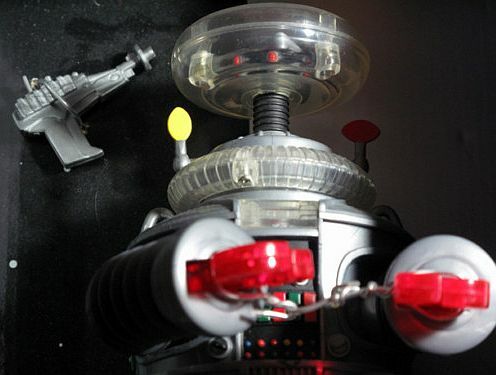 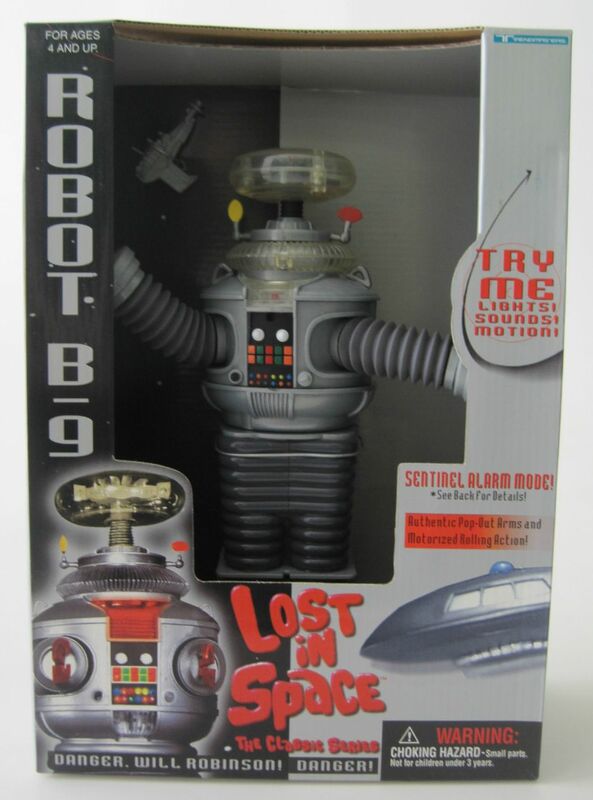 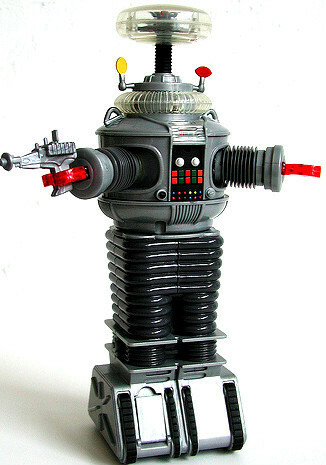 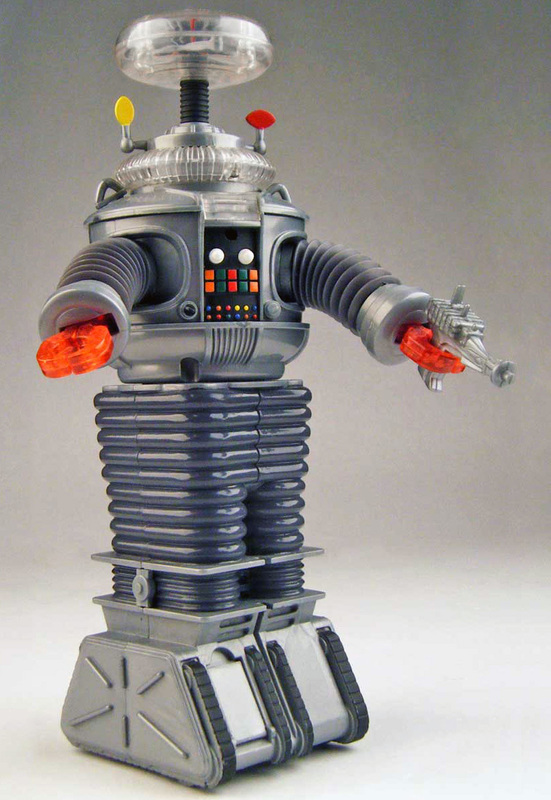 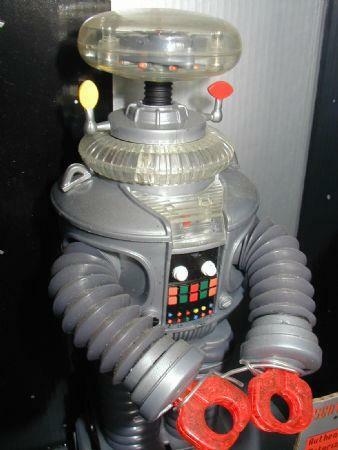 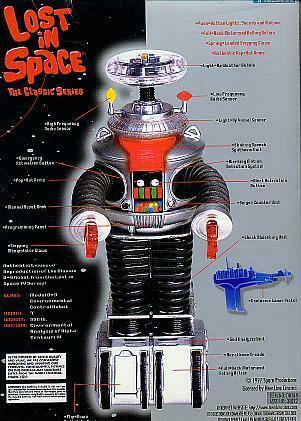 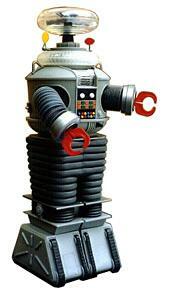 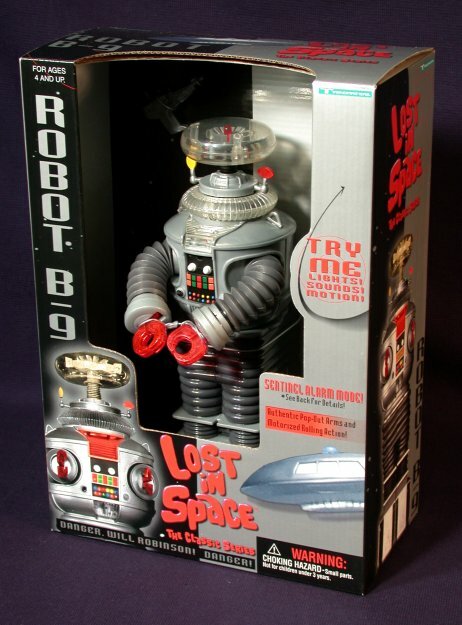 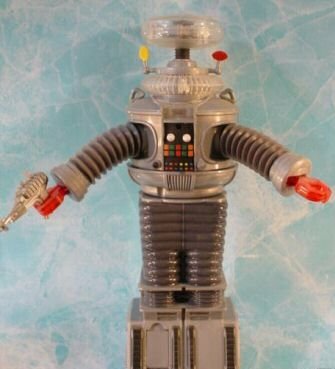 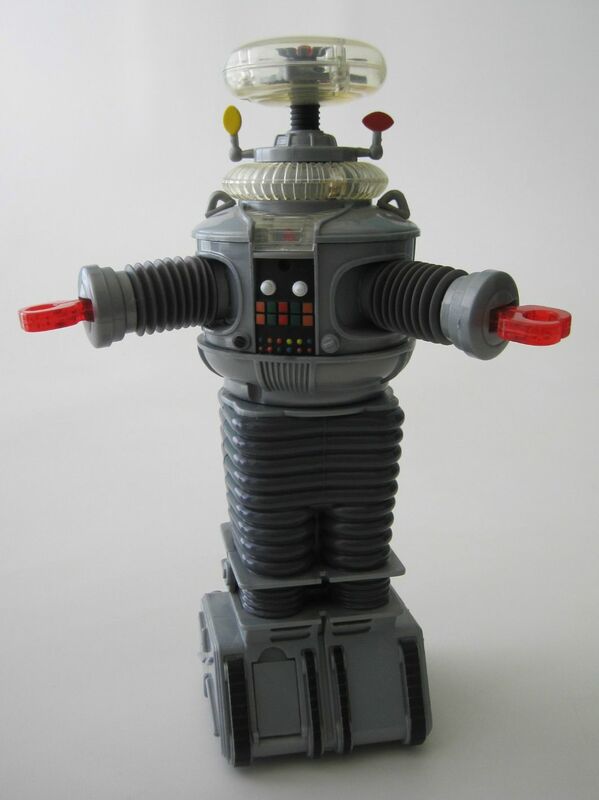 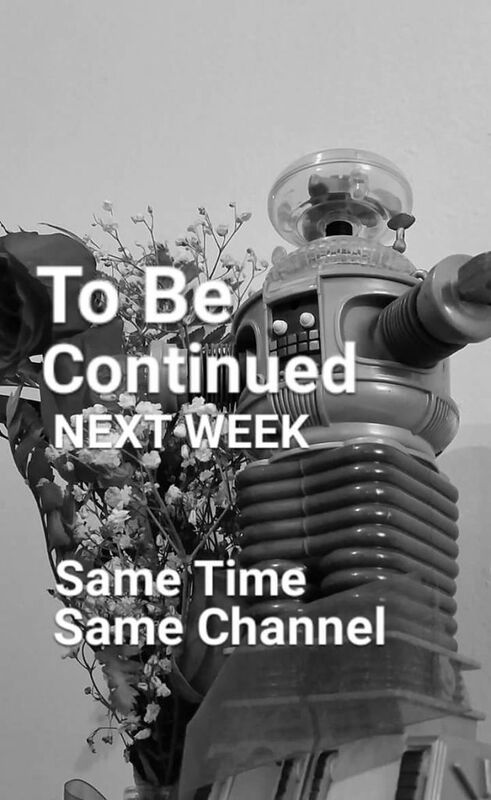 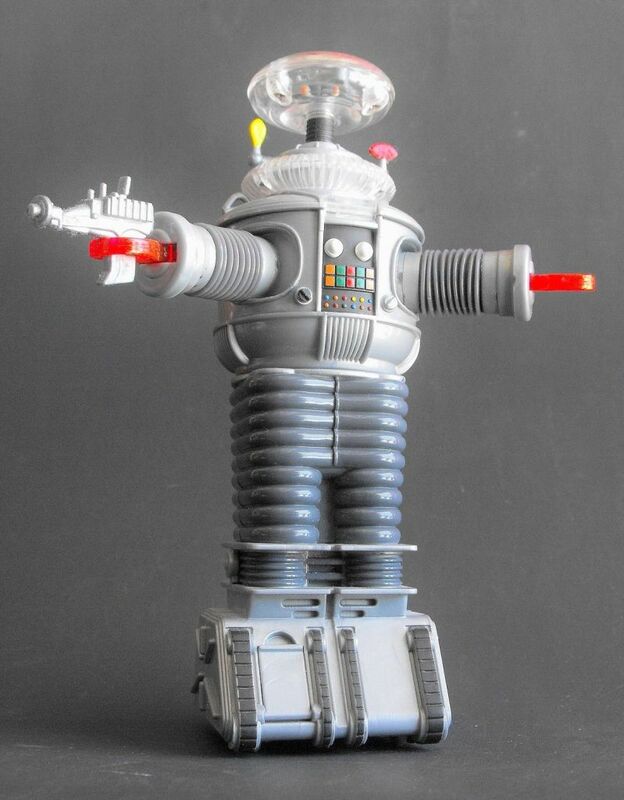 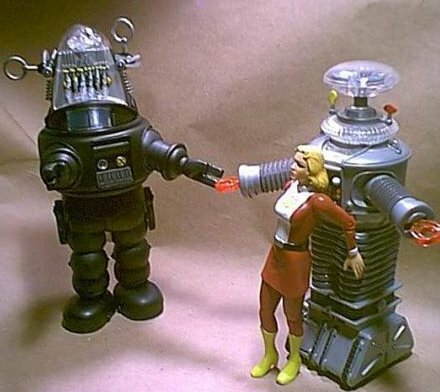 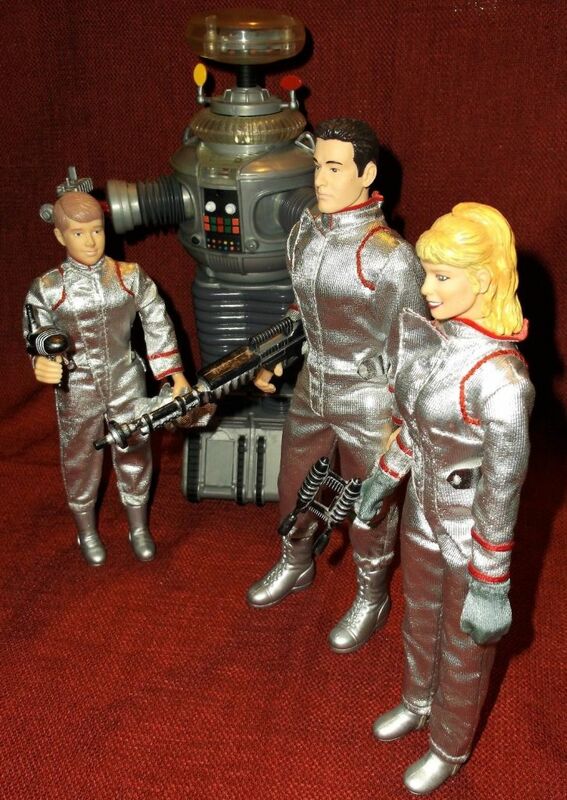 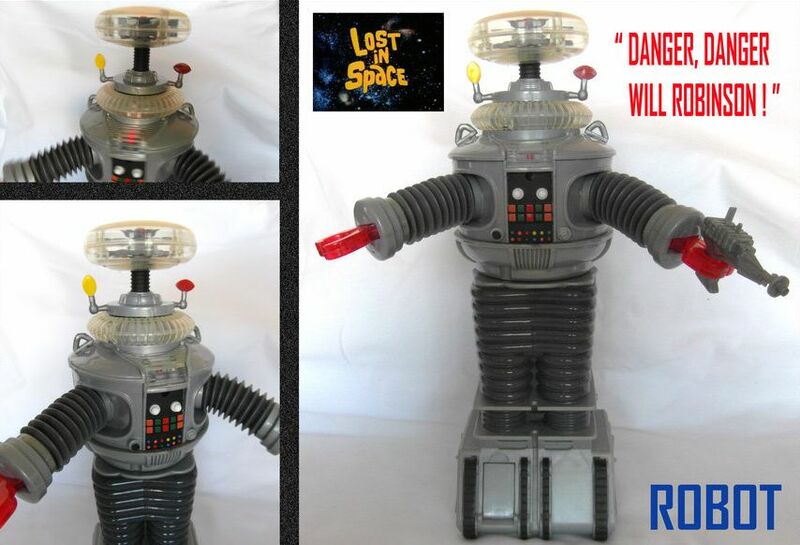 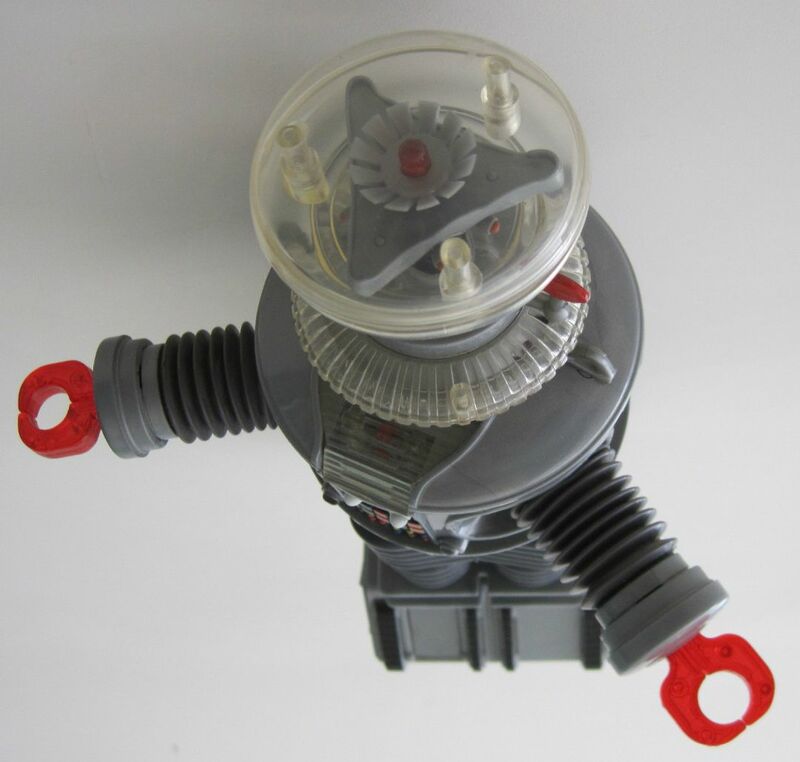 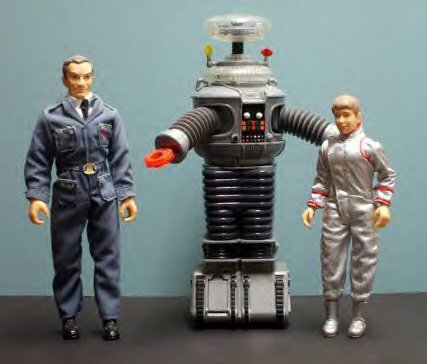 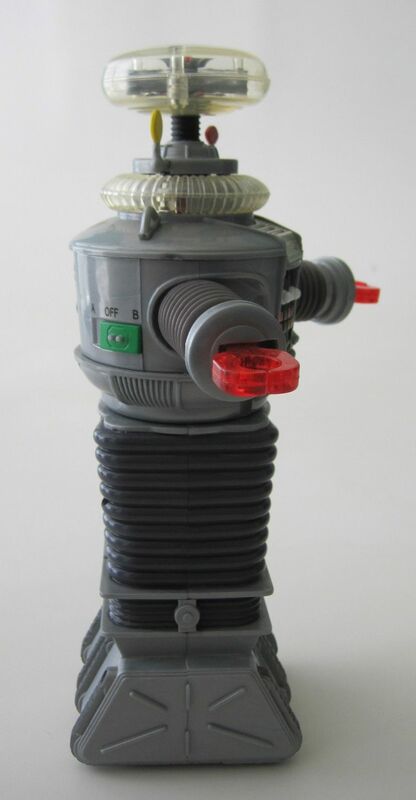 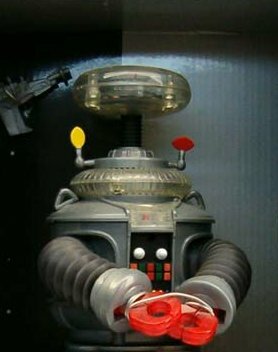 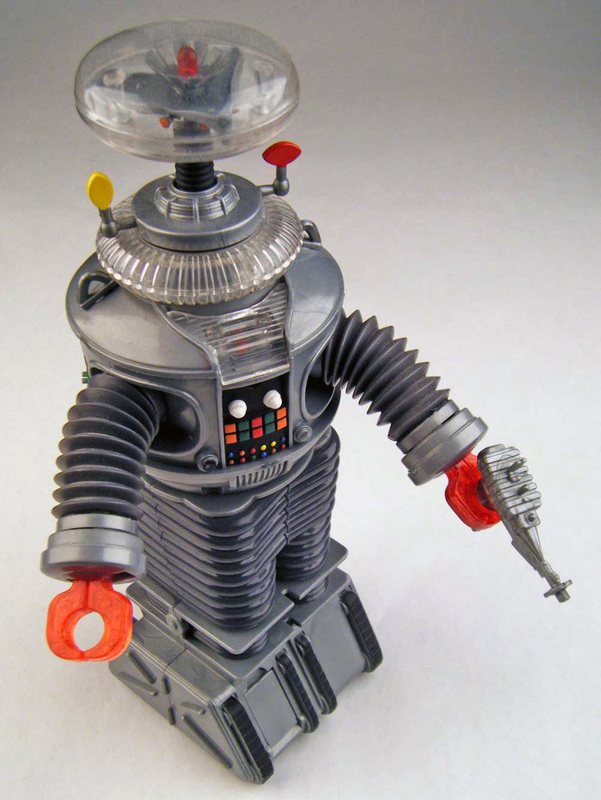 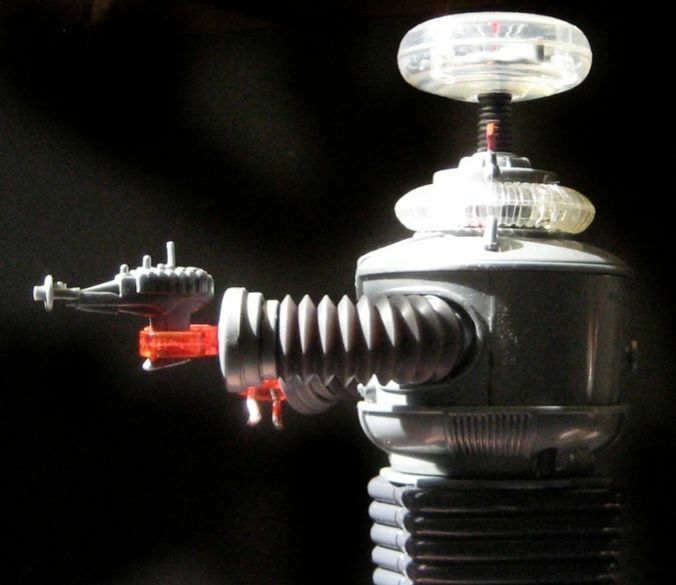 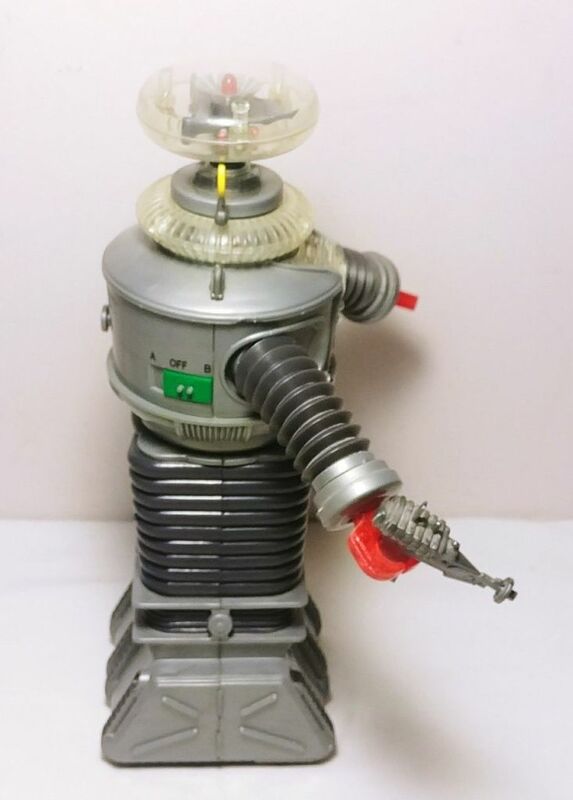 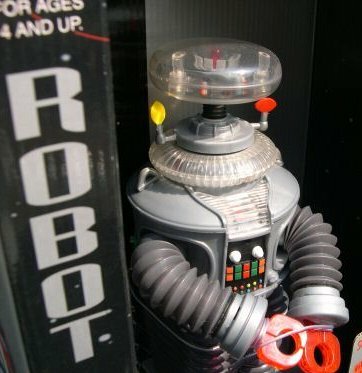 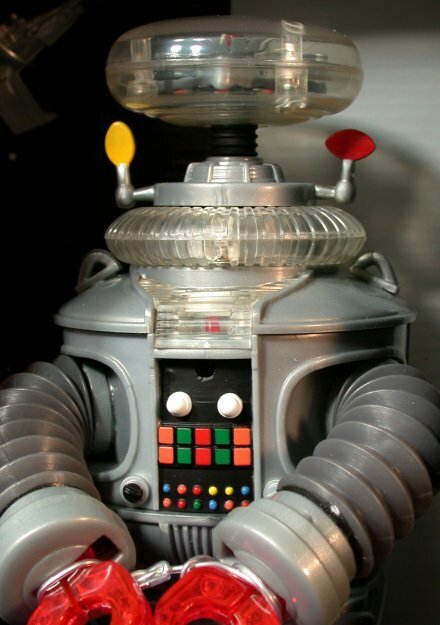 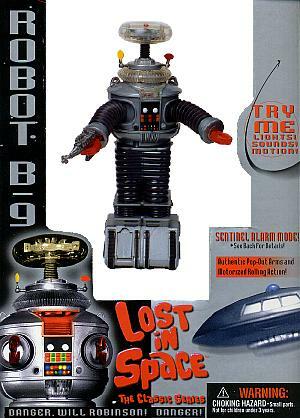 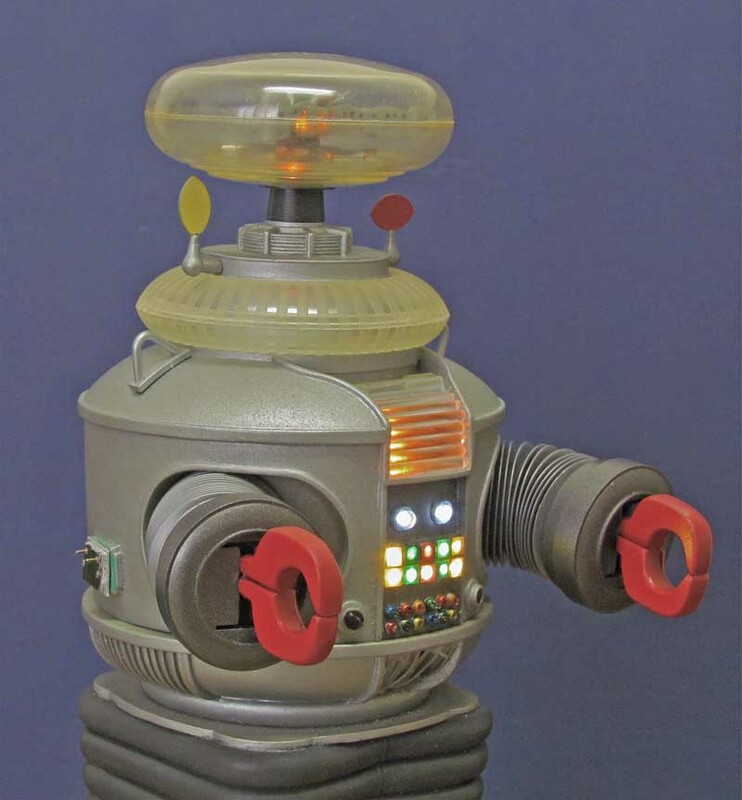 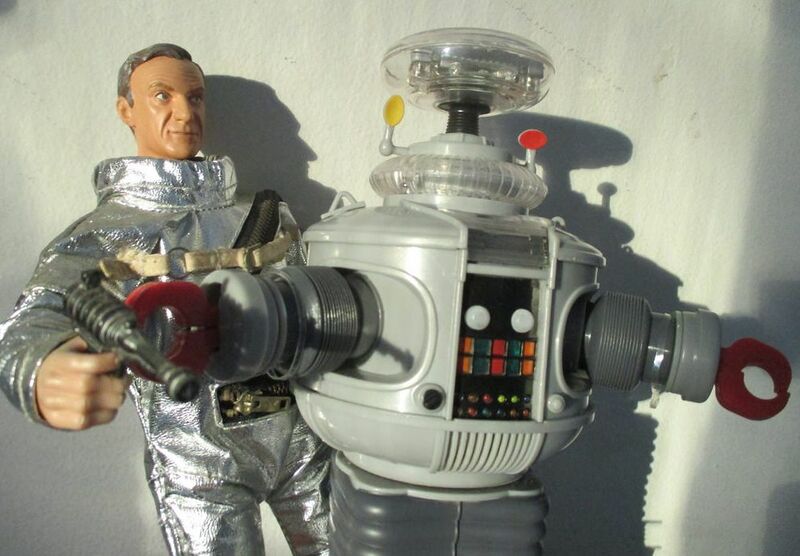 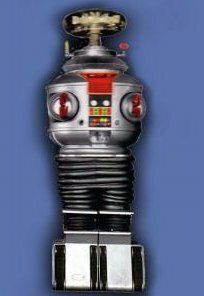 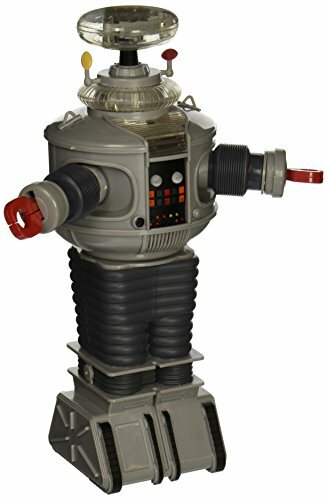 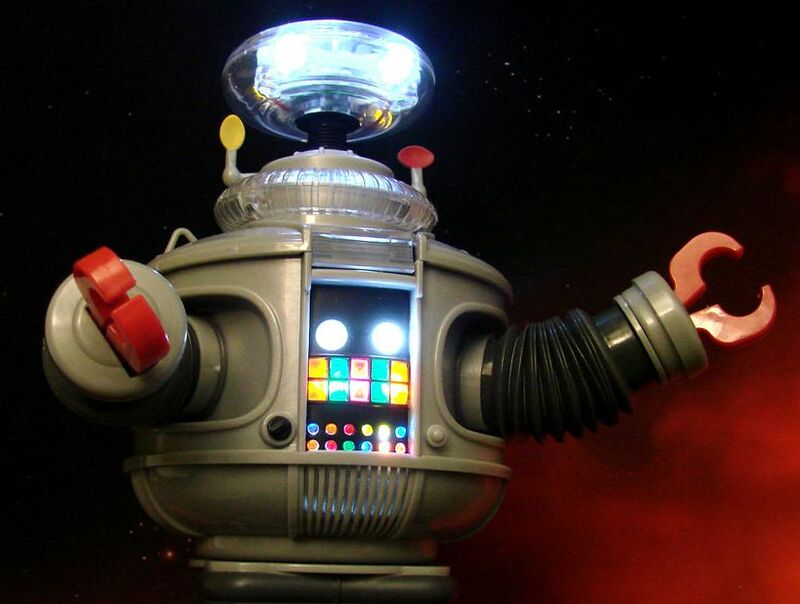 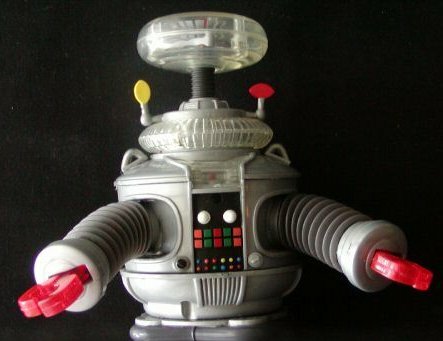 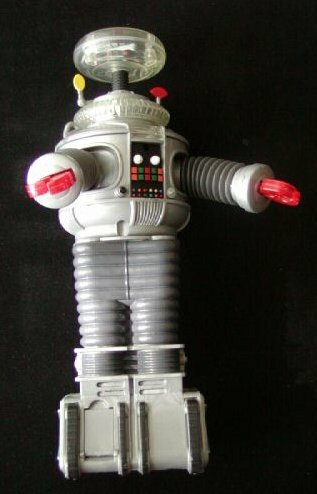 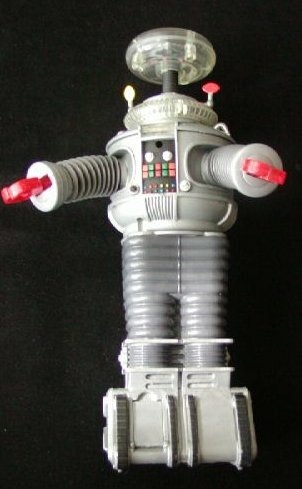 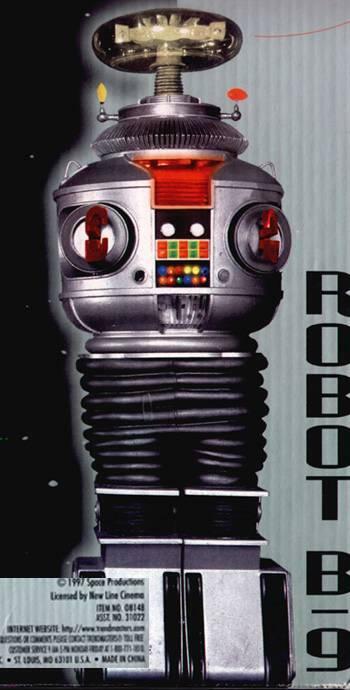 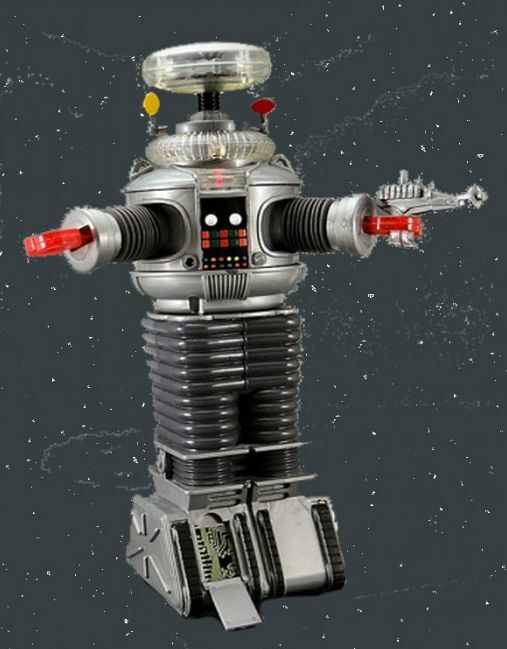 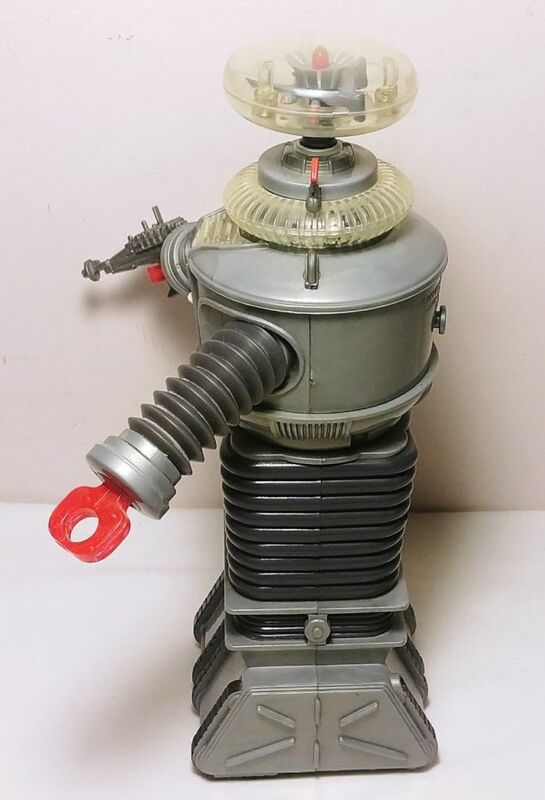 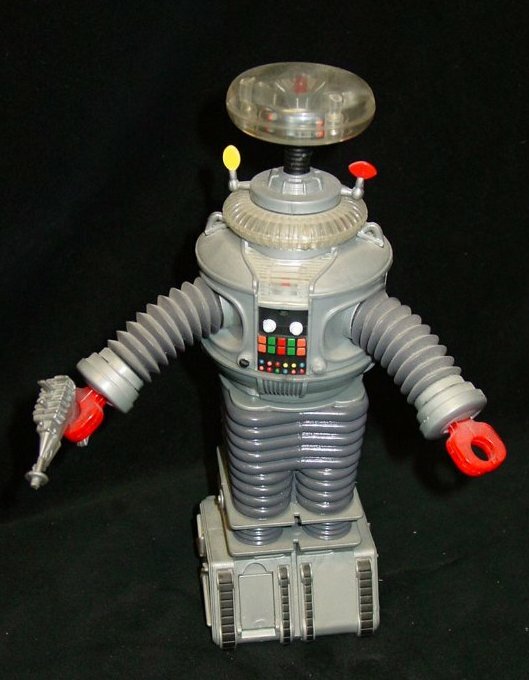 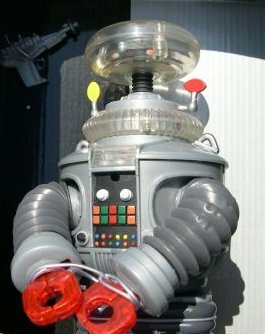 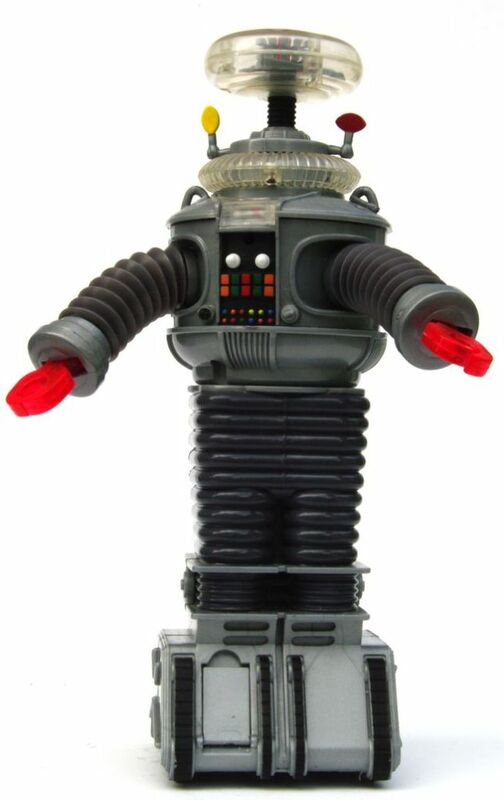 Trendmasters.... Lost in Space Robot B-9. 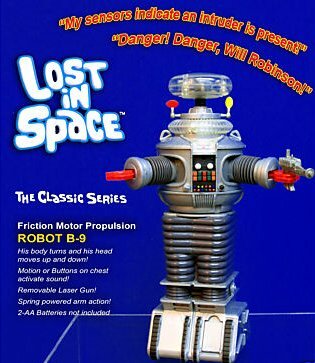 The Robot measures 10 1/2 inches tall. 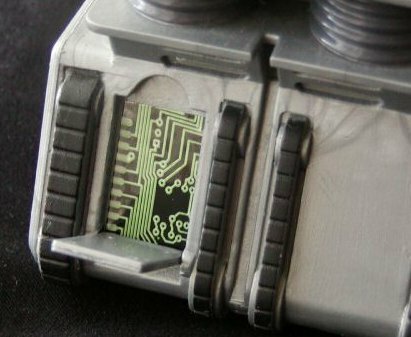 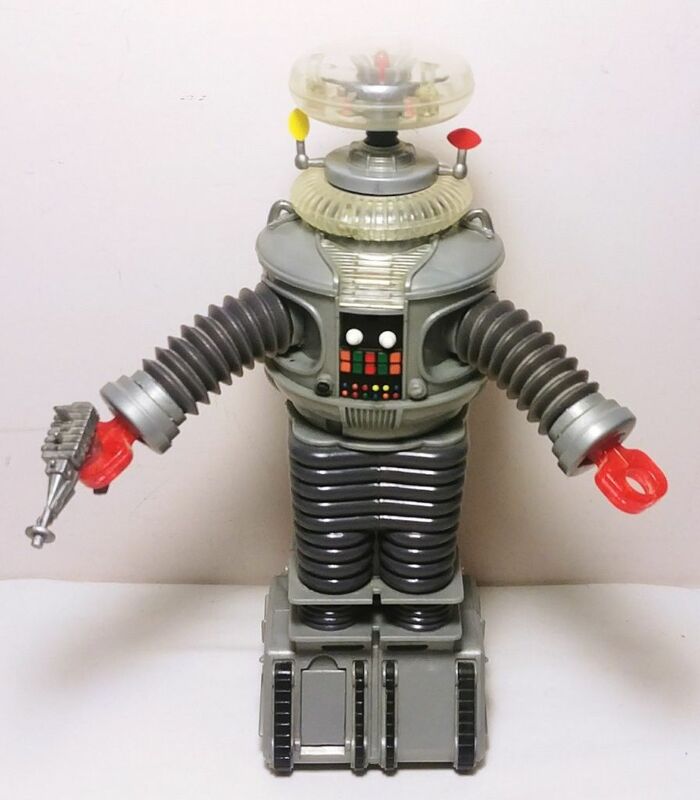 It has an alarm mode, that is activated when someone comes close.. and B-9 says "Danger, Danger Will Robinson" and lights in the clear plastic covers and his head light up and flash off and on while he talks. 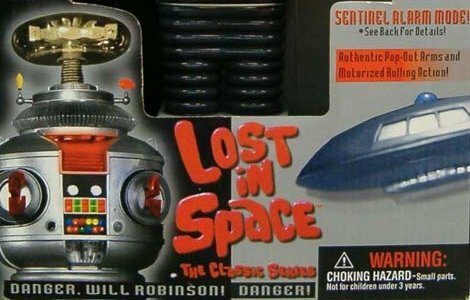 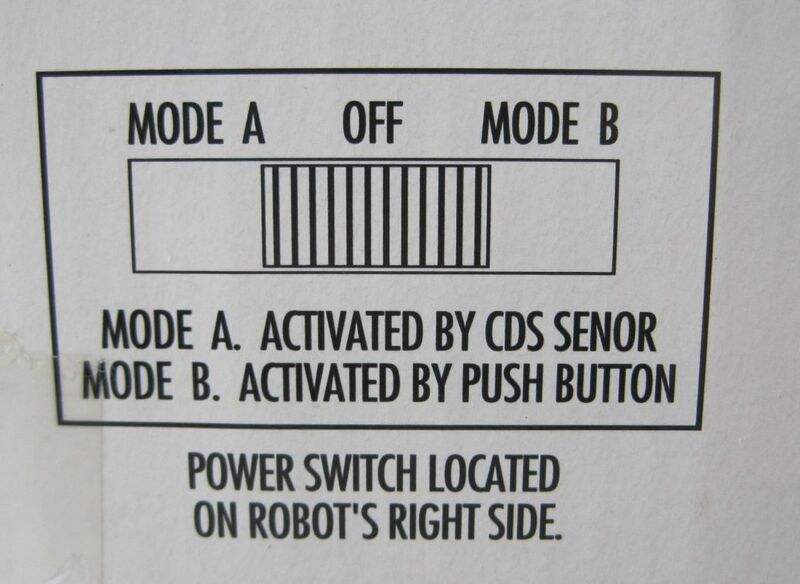 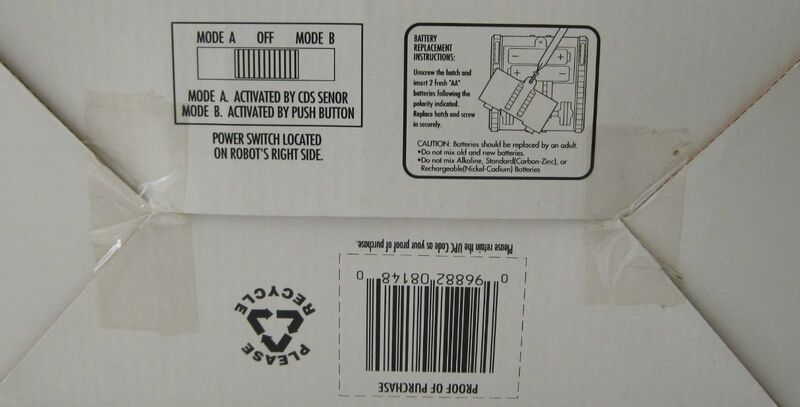 Also says "My Sensors indicate an intruder is present" and "Danger, Danger Will Robinson." 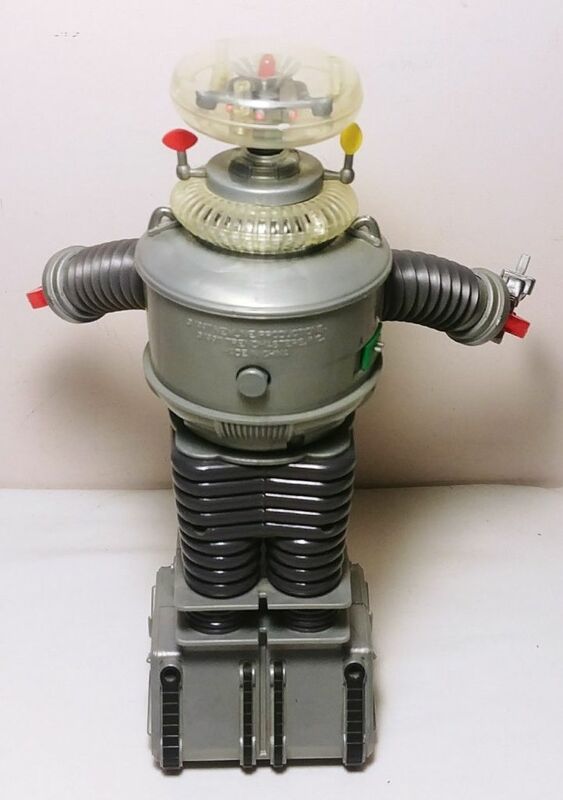 His waist swivels and arms are movable. 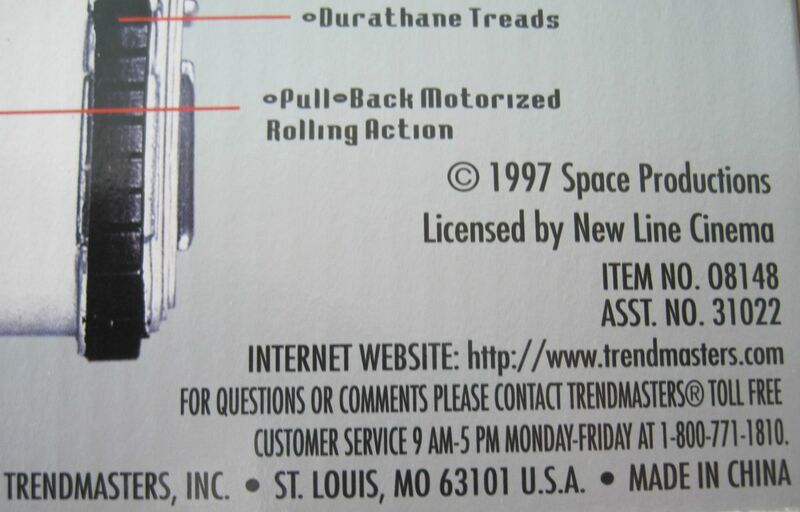 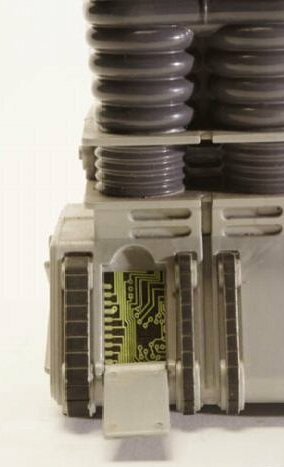 Made in 1997 by Trendmasters. 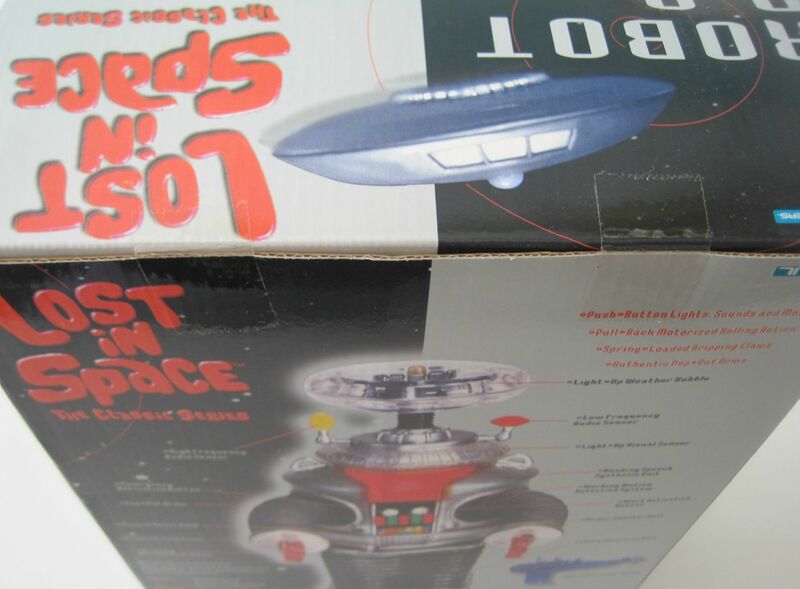 Two different sizes were issued by Trendmasters on this cool toy. 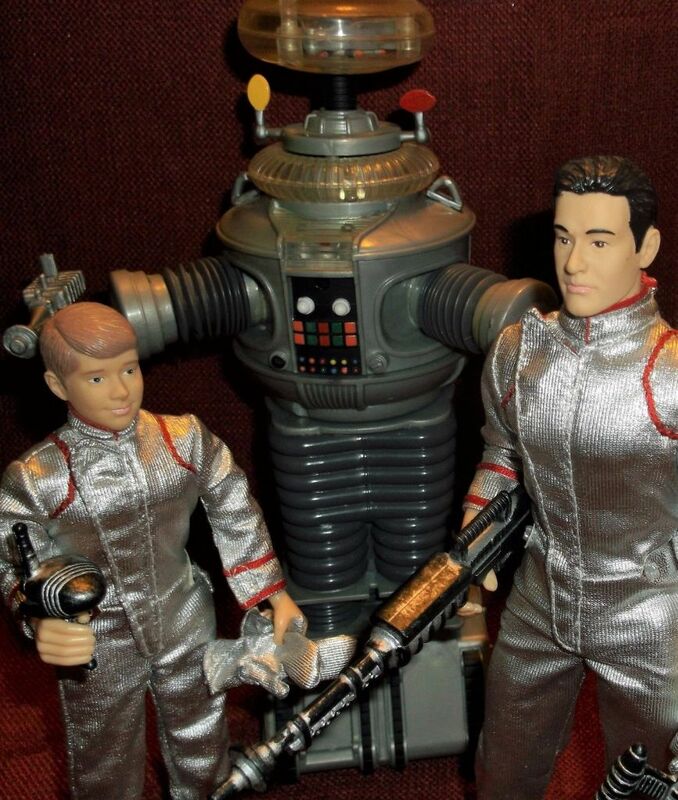 A 7" and a 10" with same great box art. 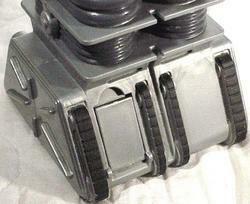 These are surely going to be a great LIS collectible items in the future.